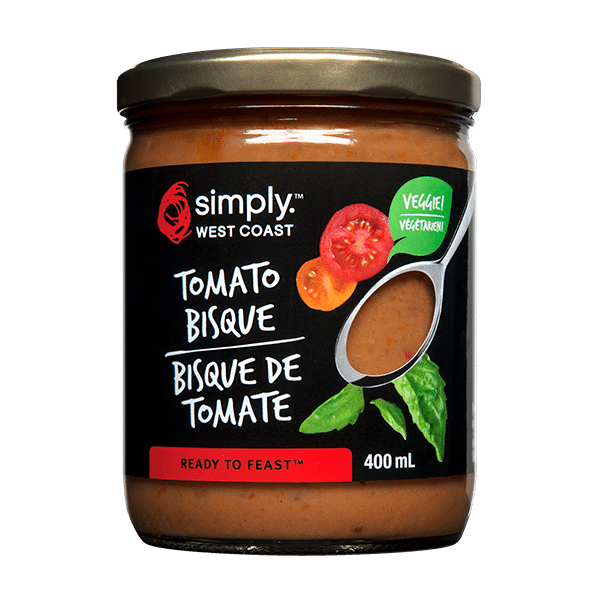 Enjoy the decadence of a genuine Tomato Bisque. Made with fresh tomatoes, fresh cream and butter for a rich taste like no other. Water, Fresh Tomatoes, Fresh Cream (Milk), Fresh Onions, Fresh Celery, Tomato Paste, Fresh Bell Peppers, Butter (Milk), Millet Flour, Tapioca Starch, Sugar, Yeast Extract, Sea Salt, White Wine Vinegar, Spices.